The GRU Cancer Center has been awarded a five-year grant from the National Cancer Institute to lead the state’s only cancer research program focused on better access to clinical trials and cancer treatments for minority and under served patients. 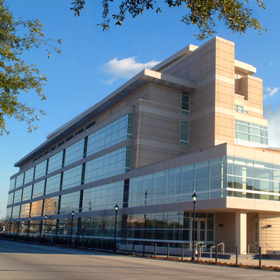 As the only site of its kind in Georgia, and one of just 12 selected nationally, the GRU Cancer Center-led consortium will contribute to the design, conduct, and translation of the national NCORP research agenda, particularly studies pertaining to minority and underserved populations. Key stakeholders and community partners will help to set priorities for community-based cancer research and work collectively to address the historic barriers that have stood in the way of minority and under served patients participating in clinical trials and other important cancer research.